FINE-TUNED CANINES exclusive Board and Train program in Southwest Florida for your dog makes your dog's learning experience a lot of fun.Southwest Florida Board and Train dog training camp...The humans receive training too - we train the dogs and then we educate and instruct the dog owners! If you're not sure which option might work best for you, please contact us today, and we will be able to assist you and answer all your questions about the Board and Train programs, details and pricing. For dogs with some more serious issues (for example aggression), we also offer Back to Balance Rehabilitation dog training program. Your dog can receive professional training and have fun during Board and Train camp here in Naples, Florida! Please click on an image to view our training movies. Eli, a Shiloh Shepherd male and his fabulous owners honored us and came all the way from Alabama to take part Eli the Shiloh Shepherd male FINE-TUNED CANINES Board and Train graduate. Eli came to Florida from Alabama to train with us. 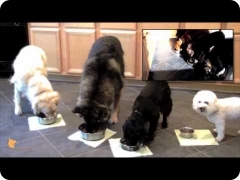 in FINE-TUNED CANINES Board and Train program. The movie shows some of Eli's skills after only 1 week of working together. Molly the Sounth African Boerboel female and FINE-TUNED CANINES BOard and Train graduate. Molly came to us to Naples, FL from West Palm Beach, FL to train with us.Sometimes our Board and Train dog training program may be the best solution for you and your dog. Board and Train is the most economical way of training or solving behavioral problems when the training or behavioral modification necessary involves a substantial number of hours. In the Board and Train situation, because the dog is with Lexi virtually 24/7, the cost per hour of training decreases dramatically. We also accept payment plans (we accept all major credit cards). Your dog will be part of our family and will live with us in our house. Your dog will be exposed to proper socialization experiences. Your dog will have unlimited access to one-on-one training with Lexi during the Board and Train program. This means that your dog will receive a number of training sessions each day. Proper behaviors and good dog manners will be reinforced at all times, both during and between sessions. Your dog will have access to group dog training with Lexi's own friendly, socialized, balanced, well-mannered and well-trained dogs. Lexi's dogs have lots of experience in helping other canines and take an active part is assisting in her training. 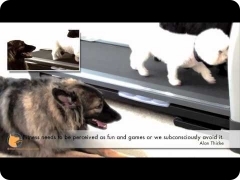 Dogs learn a lot by mimicking and observing other dogs. By signing up for our premier Board and Train program, your dogs will be exposed to the best environment in which to unlearn bad habits and learn new good skills, proper manners, etc. We do not accept more than 2-3 dogs at a time for our Board and Train program. This ensures that your dog will receive the proper amount of training, the right kind of attention and a high quality experience overall. Scheduling Board and Train program in advance is highly recommended to ensure a spot for your beloved canine companion. Our Board and Train program, like all of our training services, is always personalized to fit your dog's needs, temperament and energy level, and is tailored to achieve YOUR training goals. Board and Train dog training program includes both training and problem solving. After your dog completes the Board and Train program, you will receive professional instruction and training from us so that the training and behavior modification your dog has received will easily transfer to other environments. We train dogs and educate, counsel and guide their owners. We do not offer dog boarding ONLY. We only offer professional training through Board and Train that involves intense training for both a dog and the owners. Our Board and Train graduates are eligible Addison the Australian Shepherd female and FINE-TUNED CANINES Board and Train graduate.for Board and Brush up dog training camp and also Board, Brush and Beyond dog training camp. After completion of the Board and Train program, our Board and Train Clients have exclusive access to boarding your dog with us in the future. We only board dogs who have completed this program and whose owners completed their part of the training as well. Our Board and Train graduates that went through formal off-leash training also receive the VIP off-leash access and can enjoy off-leash freedom at our facility at the times when they come for boarding. Our Board and Train canine students receive their dog training education in Southwest Florida (Naples, Florida - Collier County). It's a great learning experience and fun vacation for them at the same time! Send your dog to FINE-TUNED CANINES dog boarding school and your dog will learn a lot of good behaviors, manners and skills! You will learn too! Which Clients can really benefit from our exclusive Board and Train dog training program? would like for their dog to be exposed to experiences and situations which it might otherwise never encounter - examples include socializing experiences, learning how to learn, building focus and drive, spending time among well-balanced and well-trained dogs, dancing (yes, we do that too), learning tricks, retrieving, and many more.